Williams Lake, B.C. – No surprise here, but wildfires in the Cariboo are taking its toll on the tourism industry. 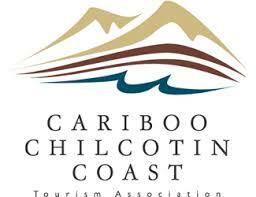 According to the Cariboo Chilcotin Tourism Association, approximately 436 tourism businesses are under an evacuation order or alert in the region. Despite the challenges those evacuation orders and alerts have posed to businesses, there was some good news this week when Cache Creek residents were allowed to return home. In addition to that, the Trans-Canada Highway is now open to regular traffic and authorities have opened Highway 97 North from Cache Creek to Highway 24 and Highway 99 to Lillooet. With that in mind, the CCTA is encouraging people to call resorts in the area to see if they’re open for business. Thacker says the wildfire situation has closed their office though it continues to work with tourism businesses around the region to address their needs. She also says they don’t have an estimate yet in terms of business loss or revenue loss though they’ve started canvassing businesses for that information. To date there are currently 16 wildfires of note in the Cariboo burning 319,100 hectares. That works out to approximately 2.7 per cent of the Cariboo Chilcotin Coast region. On last night’s news broadcast (can’t remember if it was CTV Vancouver or Global Vancouver), they featured the plight of one small business owner in Cache Creek. The owner indicated that all reservations have now been cancelled through to September. He stated that he expects that it will take 2 to 3 years to fully recover from this situation. This small business owner was fortunate that his buildings didn’t burn down, but the costs of remediation ie: smoke and ash removal, cleanup, etc. will have a long and lingering effect on him, his family and their ability to earn a living. There are some on this site who take every opportunity afforded to them to denigrate “business owners”! Words like greedy, uncaring, tax evading, ruthless et al are tossed out without any actual knowledge of or concern for those that struggle to earn a living, provide jobs in their communities, pay their taxes and hopefully after all of the salaries, bill and other expenses are covered, put something aside for their retirement years! Losing one’s home, life or property to a fire is a devastating loss, one that I wouldn’t wish on anybody! Losing one’s business and/or losing one’s ability to earn a living in order to provide for one’s family is also something that I wouldn’t wish on anybody! Tragedy comes in many forms! May it never find it’s way to any of you! Oops, forgot to mention that the small business was a motel!